I was wandering around Downtown Oakland when I spied more than a jian of puerh on the top shelf of a new dried seafood super store. 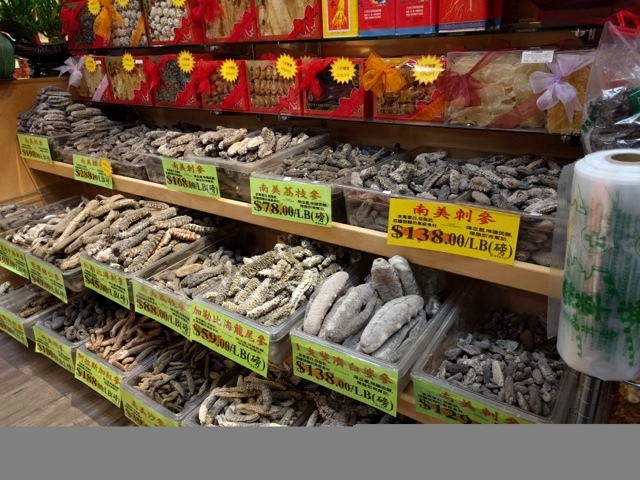 One does not behold such a sight very often in the States- that many tongs in retail nor that many jars of dried seafood critters in the $1000 to $2000 per pound range. 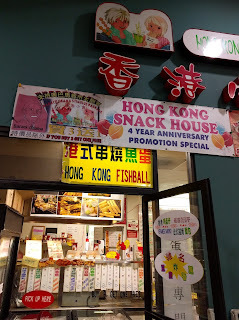 The dried fishy aromas wafting out the door of the store were so powerful, I had to compel myself to go inside to investigate. You can see beneath the tongs a row of various beengs (shu and sheng) in open gift boxes. I would imagine the dried seafood odors have irrevocably infused into the oils of the tea. 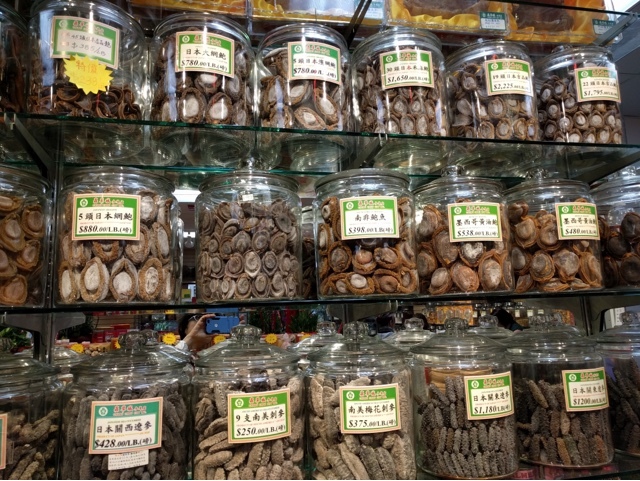 I'm sure a lot of these dried up sea cucumbers will end up at a new year's banquet if not a Chinese wedding banquet. I really wish I was in the market to buy one with this kind of selection available, but like any Korean, I like my cukes raw and crunchy- preferably freshly dead. Since I've seen sea cucumbers plentifully littering the ocean floor while snorkeling, I would not dream of spending good money on one but I spent a good 10 minutes trying to figure out which sea cucumber I would take home with me. 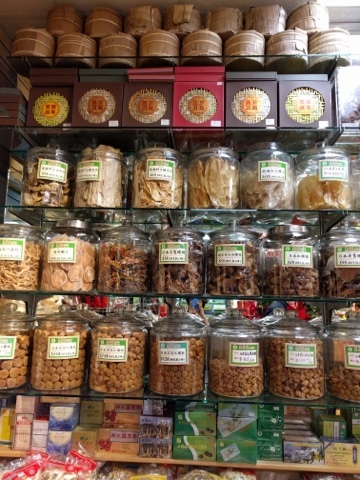 Here is a situation not unlike puerh buying in the old days. There are a few scant english websites guiding you(here and here) on how to buy a sea cucumber but you can't really gauge the quality and texture until after you buy and reconstitute it. Then you have to contend with overpriced misrepresented sea cucumbers to outright fake counterfeit sea cucumbers made with konjac jelly. Vendor trust while important I think only goes so far. Much of the shorelines of the world are unfortunately polluted and so one can't know what kind of pollutants lurk inside a bottom feeder like a sea cucumber. How to choose a sea cucumber when you are confronted with a vast range of grades from $20-$2000. The big leap in price is differentiated by culinary use vs. medicinal use as $1000+ cukes possess magical anti-cancer properties. Even so, I think it's easier and cheaper to become a sea cucumber connoisseur than pursuing puerh.